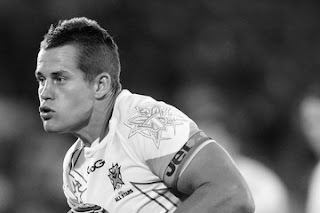 wdnicolson.com - An NRL Blog: NRL 2013: Who wants to be an All Star? NEW APPROACH NEEDED FOR ALL STARS? 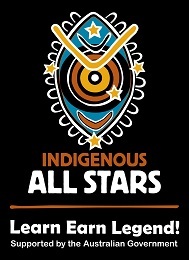 With the 4th Annual NRL All Stars v Indigenous All Stars clash this Saturday night in Brisbane, the question on everyone's lips seems not to be "Who will win?" but "Who will show up?" The buzz over the launch over the concept back in 2010 has begun to wane just a little this year, but the game itself should attract no blame - as all three clashes so far have been great ways to launch the coming NRL season. Who wants to be an All Star? But star quartet Billy Slater, Cooper Cronk, Anthony Watmough and Dave Taylor were all selected in the initial NRL All Stars 20 man squad... but then withdrew within around a week of the team being named. | Update 6/2: Paul Gallen also withdrew from the NRL All Stars on Wednesday morning citing a quad strain suffered in camp, he will be replaced by Chris Heighington. Their places have been taken by Ashley Harrison, Justin O'Neill, Shaun Johnson and Kieran Foran - all quality players in their own right but they all missed out on selection from the fans... which is basically one of the strongest 'selling points' of the concept. So if the players the fans selected aren't all running out this year, are we really going to see 'All Stars' turn out on Saturday night? Yes, just a different group of stars. The Indigenous team wasn't without a late withdrawal or two of their own - as South Sydney's Nathan Merritt was advertised as his club as being injured on the same day it emerged that Canberra's Reece Robinson had 'beaten' him out for a spot in the starting lineup. But that's not really Merritt's fault is it? In fact - are the NRL All Star quartet at fault as well? Well not really... and yes. When the All Star voting system is constructed a third party company is contracted to develop the Voting Platform for the NRL.com website. They are provided a list of all the players that the NRL believes are eligible for selection in the February 9 game - this year at Suncorp Stadium but there's more on this here from a pre-2012 All Stars piece - and then enter those players into the appropriate lists: NRL or Indigenous All Stars. Then the fan voting takes over. 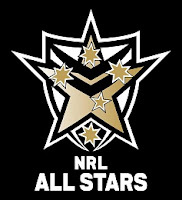 Teams get split into two forwards and two backs for the second round of voting, then ultimately - popular vote (with only one player from each club eligible for the NRL All Stars lineup) and coaches Wayne Bennett (NRL) and Laurie Daley (Indigenous) decide on the final few players to fill out two 20 man squads. Sounds logical... until the game gets closer and the pressures of the coming NRL season mounts. But what's missing here is communication as to what players who make that second round (and really the first list) will not be available come late January when the two sides are named. There of course is a level of 'cloak and dagger' from clubs who don't want the status of off-season injuries to be known by their rivals (some 6 weeks before a competitive game) but really - why isn't the lines of communication better with the players who are having their names put forward? Billy Slater and Cooper Cronk told the NRL shortly after being selected they preferred to play against Leeds in the World Club Challenge for Melbourne on February 22 in the UK - something they are 100% entitled to choose over the All Stars game - but why did officials wait until voting had completed before letting down those fans who had voted Slater in (Cronk was a coaching choice by Bennett)? The Slater thing isn't a new situation for the concept - players have been pulling out after being picked since Year 1 - but the Cronk situation is a strange one and underlines the lack of communication. If Wayne Bennett wanted Cooper Cronk as one of his two coach's selections - then why didn't he know that the Storm halfback wasn't ready to play in both the All Stars game and the World Club Challenge? It seems like something that could have been avoided... after all Willie Mason had probably been in Bennett's ear since October angling for a start in the Suncorp match. As for the new kids on the block for this year's match - it's pretty clear they were stoked with the news they'd be part of the 4th edition of the spectacle that is All Stars. "It's obviously disappointing for the guys that aren't available, but I'm really excited to be involved with the All Stars again, it's a great concept and a really enjoyable week so I'm proud to receive the call-up." "It’s disappointing Billy won’t be able to play, but I’m excited and honoured to be part of the NRL All Stars team and I’m looking forward to playing with and against some of the best players in the competition. I have family living in Brisbane so it will be very special to play my first representative game in front of them." "It’s all a bit surreal for me at the moment. Matt Elliott called me to let me know. It’s exciting. I’m really looking forward to the opportunity of playing alongside so many quality players and being in a side coached by Wayne Bennett. It’s a massive honour." "I was shocked to get the call today but I am thrilled to be part of the game and I can’t wait to get into camp with the team tomorrow." Judging by those comments - the NRL All Star game has plenty of admirers in the playing ranks. But just as clearly the process needs to be reviewed so that the game attracts all the players who are truly eligible for selection throughout the voting process*. Key Translation: The All Stars game should be here to stay (but please not at Suncorp every year - spread the love NRL) but the sooner players, clubs and the NRL get together to figure out who is really available for the pre-season clash the better it will be for everyone. Just listen to the enthusiasm Harrison, O'Neill, Johnson and Foran have for it. And Harrison has played in the game before - so you can't play the 'oh he's an NRL All Star rookie so of course he's excited' card. The game last year in particular was a cracker and regardless of who plays on Saturday night - the odds are good it'll be another barnstormer. 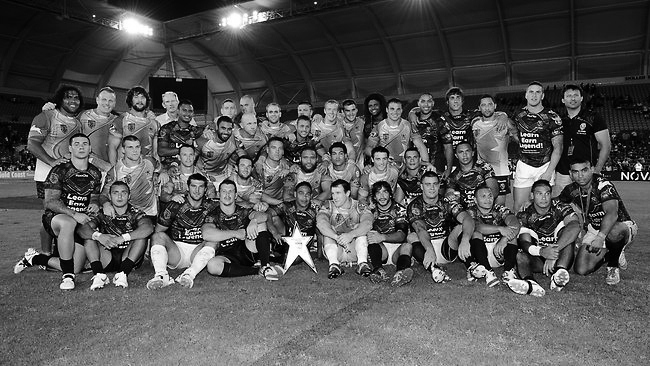 SHOULD ALL NRL CLUBS/PLAYERS BE UP-FRONT AND DECLARE THEMSELVES UNAVAILABLE FOR THE ALL STARS EARLIER? And another thing... If the Indigenous All Stars lose - cue the negative 'Daley can't coach' press from both sides of the border... welcome to the Rugby League Media Cycle for another season! In the 2013 @NRLTweet Player of the Year Awards will be back!